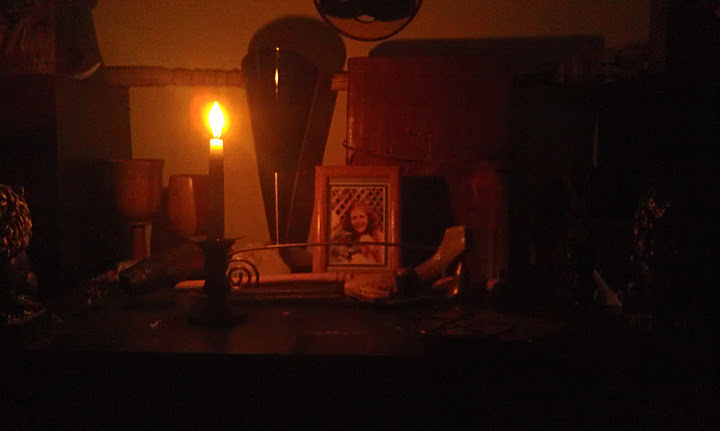 Last week we asked readers to send in photos of their Samhain or Ancestor altars. 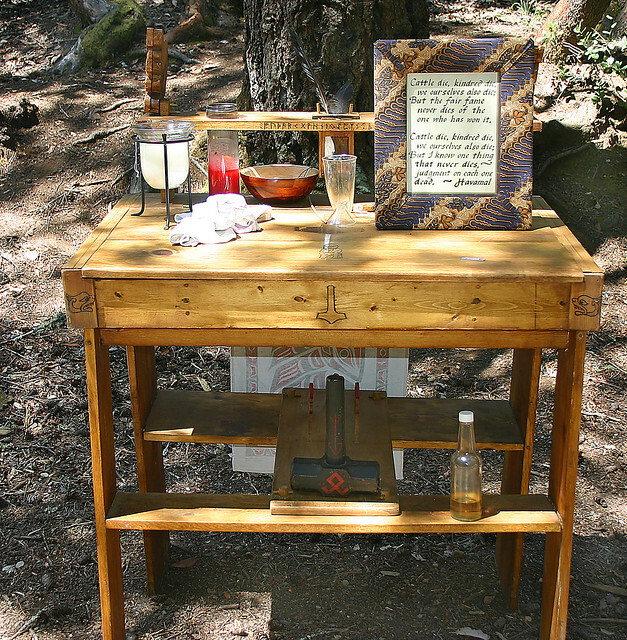 We hope you enjoy looking at these meaningful and creative altars as much as we have. Photo Adrian Hawkins - In honor of my Elder, First Priestess and most importantly my mother on her birthday - Lady Galadriel, Matriarch of the Unicorn Tradition and Grove of the Unicorn. 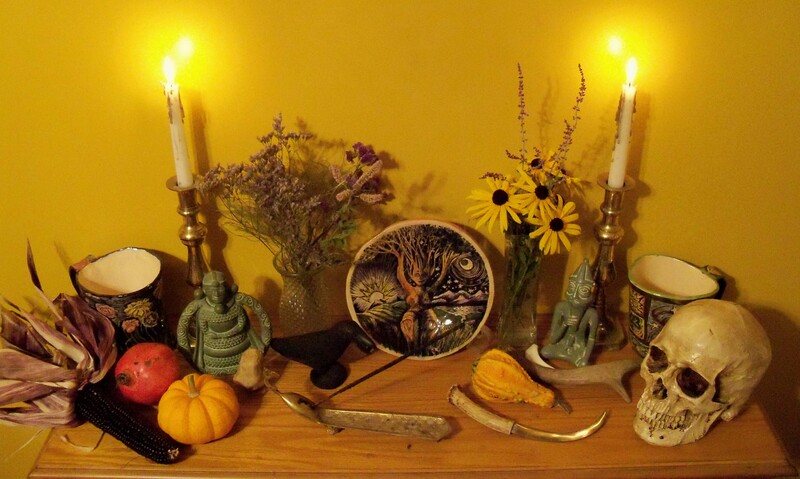 Photo by Carol & John Stiteler: The house altar is "Seasonal House Altar at WhiteWing Cottage" with symbols of Life, Death, and Re-birth including skull, antlers, bones, seasonal fruits and both fresh and dried flowers. No matter what you are celebrating – and if we have missed your religion’s holiday let us know – PNC-Minnesota invites you to send us a photo of your altar. 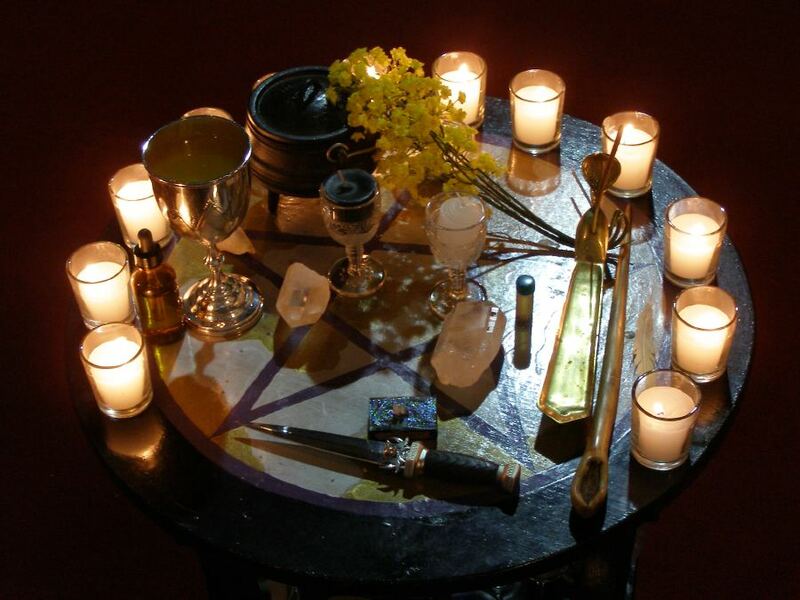 Tell us the meaning behind what is on your altar or what it means to you. 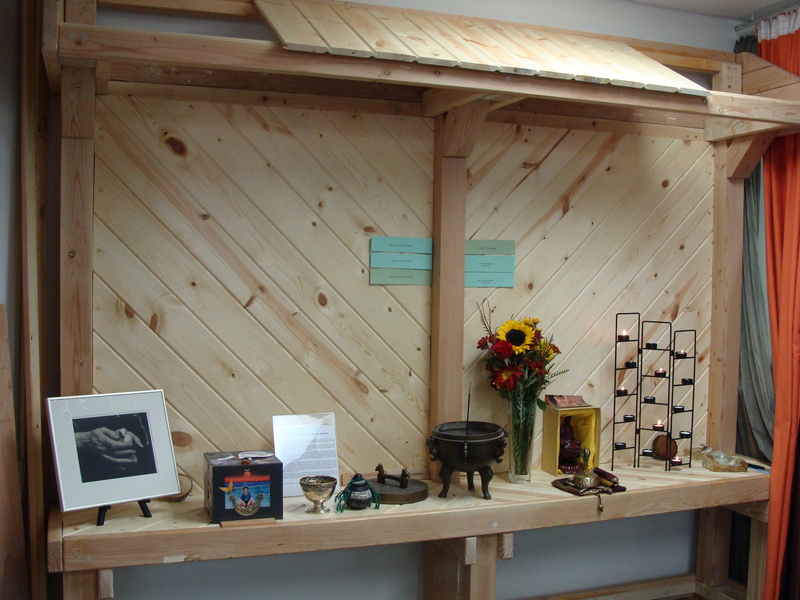 We will then show these photos on this site on October 31st as a way to honor the festival and those who have passed on.